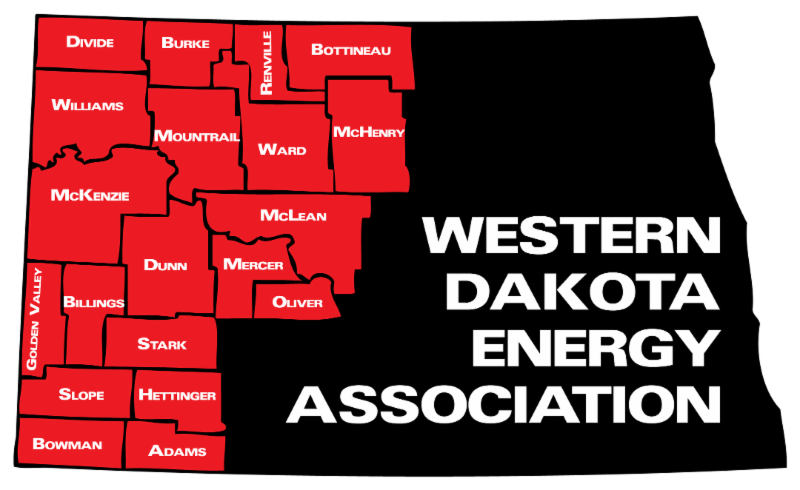 When the 2019 North Dakota Legislature convenes in January, oil and gas royalty owners will have a voice. Organizer Bob Skarphol said this week an owners group is being formalized with a filing with the ND Secretary of State’s office. Skarphol, a former legislator, said royalty owners are frustrated and feel their questions are not being answered when it comes to deductions from their royalty checks. Skarphol set up a meeting with royalty owners a month ago, and dozens showed up to express their interest in organizing as a group. He said it’s not just lawmakers who need to stand up for citizens who feel they are unfairly treated. Both the executive and judicial branch needs to be aware that “the treatment of royalty owners is not always fair,” said Skarphol. The group will meet again in December to map out its plan of action for the 2019 Legislature. Click here for a story and video from KX News, and here for a story from the Williston Herald. 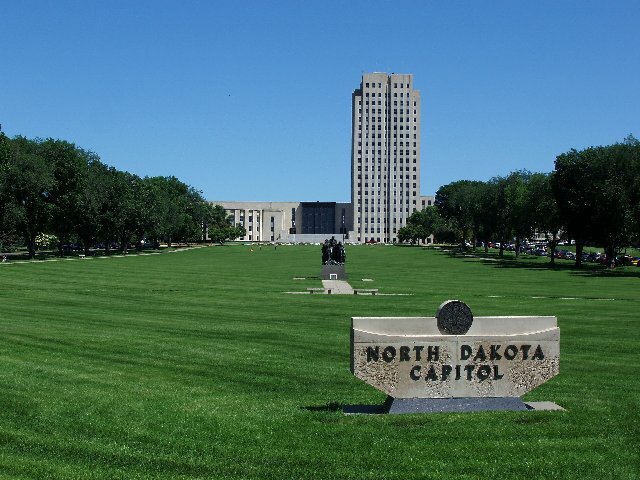 The North Dakota Legislature’s Management Committee will meet November 14-15 to hear reports and recommendations from interim study committees. The committee approved more than 40 study topics at its meeting that followed the conclusion of the 2017 legislative session. Over the course of its upcoming two-day meeting, the management committee will hear reports from more than 20 committees that met throughout the interim to review issues and hear testimony from the public. Issues of top concern to western North Dakota are the studies of Hub City funding and education funding. Other studies looked at re-frack incentives, wind energy impacts and wind taxation, methods of transportation funding, industrial water use, and the revised natural gas and oil pipeline siting process. The Legislative Management Committee meeting begins at 9:00 a.m. Nov. 14 in the House Chamber at the Capitol. Click here to see the agenda. 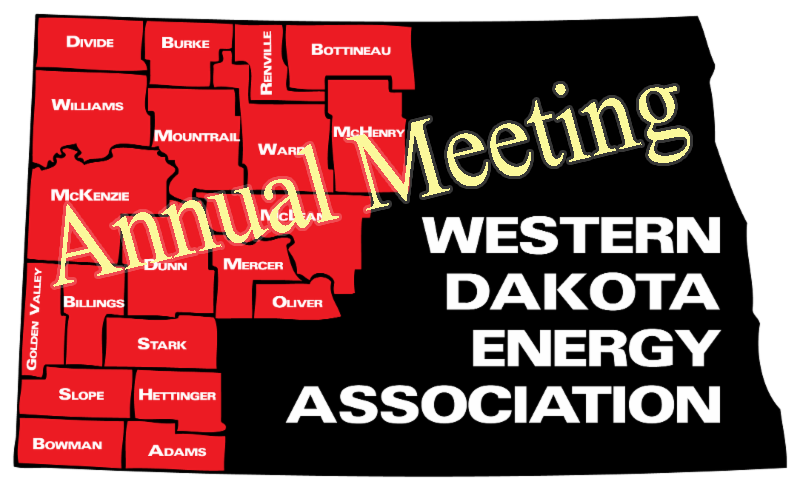 The Western Dakota Energy Association has put together a timely and informative agenda for its annual meeting next week, November 7-8, at 4 Bears Casino and Lodge in New Town. 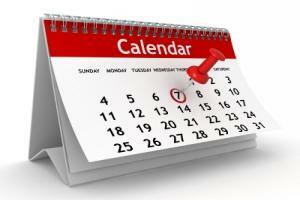 Click here for the meeting agenda. Click here to register for the meeting. The meeting begins at 1:00 p.m. next Wednesday with an overview of exciting new enhancements to the LoadPass Permit System, followed by a lively panel discussion of issues related to the movement of oversize trucks in North Dakota. The truck permitting panel will be followed by presentations from the Upper Great Plains Transportation Institute covering the latest in traffic forecasting and monitoring traffic movement, as well as an update on GRIT - the Geographic Roadway Inventory Tool. The remainder of the opening day agenda is devoted to natural gas capture issues, developing adequate pipeline and processing capacity, and an update on research aimed at detecting and preventing pipeline leaks. The evening agenda includes a social and opportunity to network with sponsors and exhibitors. The social includes brief presentations about Mineral Tracker from Jeff Kummer, and a Highway 85 Theodore Roosevelt Expressway update from Cal Klewin. Day Two begins with a recap and analysis of the 2018 Election by longtime political observer and former Commerce Commissioner Shane Goettle. Guests will then hear about the work of the Badlands Advisory Group from Rod Backman; a workforce panel discussion that includes Williston State College President John Miller; an update from ND Geological Survey describing the quest for a local source of frac sand; followed by a panel discussion of the education funding challenges facing western communities. Attendees will also hear from Senator Rich Wardner, who will review “Operation Prairie Dog,” the draft legislation aimed at funding western communities, packaged with infrastructure funding for non-oil communities. The agenda also includes the latest information about coal regulation and lignite research. The meeting will conclude with Lynn Helms’ traditional county-by-county production report and his assessment of the current and future state of the oil industry. Former Governor Ed Schafer joined the opposition to Measure One this week, urging fellow North Dakotans to reject the so-called “anti-corruption” measure. Schafer, who was interviewed on The Need to Know Morning Show, said he initially worked with the group that wrote the measure. But he said the process was taken over by extremists who went too far. Click here to listen to Schafer’s comments. Schafer said he is concerned the ethics commission could be abused for political gain. Click here to listen to Schafer’s comments. 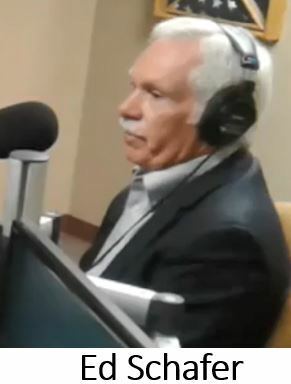 Click here to listen to the full interview with Ed Schafer. The North Dakota Catholic Conference was an early opponent of Measure One. Christopher Dodson, General Council for NDCC, said the church tried unsuccessfully to get answers to its concerns from the group pushing the Constitutional measure. Click here to listen to Dodson’s comments. Dodson was interviewed on the radio program Energy Matters. Click here and advance to the 3:05 mark to listen to the full interview. The North Dakota Stockmen’s Association also announced its opposition to Measure One this week. 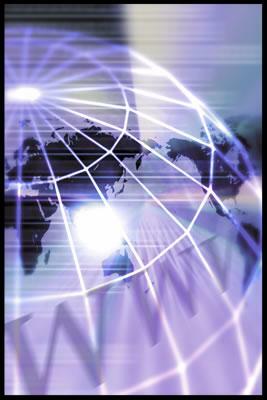 Click here to read the Stockmen’s news release. Dozens of Killdeer area residents turned out for a community information meeting this week to look into options to deal with growing enrollment in the K-12 system. The Killdeer school, built in 1960, now houses more than 600 students, putting it at full capacity with about 25 students per classroom. 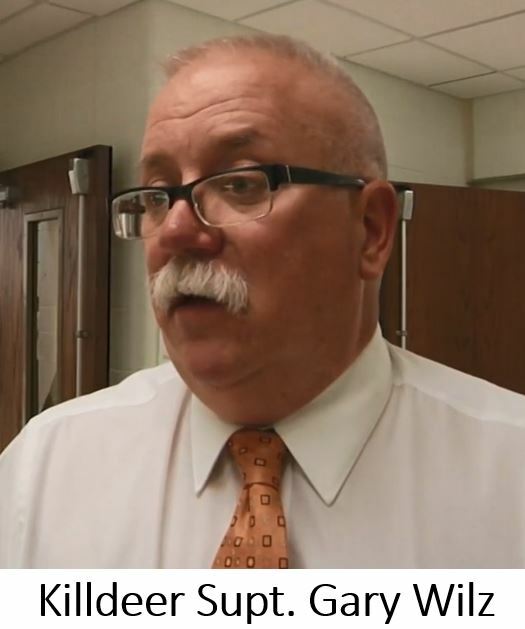 Superintendent Gary Wilz, who serves as president of the WDEA Executive Committee, said ideally he’d like the district to have a separate building for elementary students. Wilz expects enrollment figures to continue growing as more oil industry workers move their young families to North Dakota. The public meeting this week was the first stage in the process of determining the best solution for the district. School officials will look for more input from parents and faculty to develop a plan to handle the growing student population. Click here for a story about the informational meeting from KX News. Click here to read about the meeting in the Dunn County Herald. Voters in Williston will decide the fate of a $60 million proposal to build two new elementary schools and expand Williston High School. The Williston Public School District No. 1. school board voted this week to put the bond issue on the ballot January 8, 2019. The plan would build two new elementary schools capable of handling 600 students each, add space for 400 more students at the high school, and provide funds to renovate existing elementary school buildings. The proposal would raise the district’s building fund levy from 10 mills to 20 mills, or about $45 per year for every $100,000 of taxable value. Click here to read more in the Williston Herald. Health care groups are asking residents of three energy counties about their views of the local health care delivery system. Cara Pulver with Coal Country Community Health Care, one of the health care providers, said the survey period is about half over. This week about 150 surveys were returned. Pulver said other providers sponsoring the survey include Southwestern District Health Unit, Hilltop Home of Comfort, and Sakakawea Medical Center. They are surveying Dunn, Mercer and Oliver counties. "We're getting a good return," Pulver said. "Most people are completing the survey on line but we are handing them out at community meetings, too." The survey is overseen by the University of North Dakota Center for Rural Medicine who will also tabulate the results. It was last done three years ago. Since then, the population has changed and the current survey will help determine the changing needs in the three-county area. 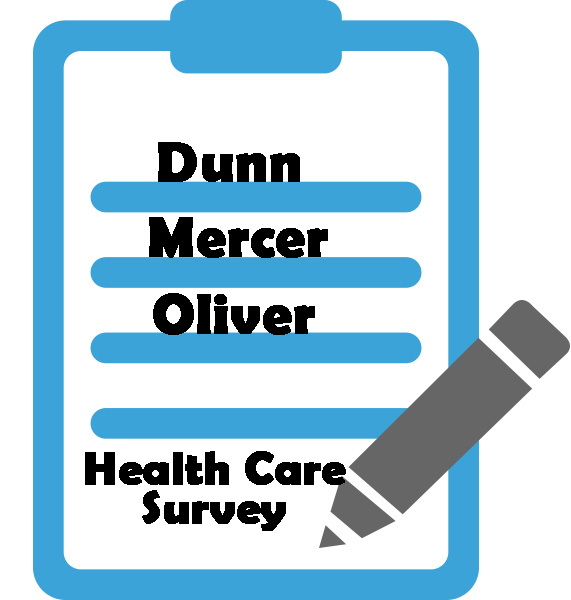 Pulver said some of the topics in the survey include access to health care, costs, hours and the need for services in areas such as primary health care, substance abuse, mental health, pediatric care and other topics. Click here to read more from the Dunn County Herald. Click here to see the survey. Efforts to increase quality of life in Adams County caught the eye of economic development agencies and Governor Burgum's office. The North Dakota Governor’s Office, the ND Department of Commerce and the Economic Development Association of North Dakota recognized Hettinger at the EDND Fall Conference in Minot this week. Adams County and the City of Hettinger won the Community Development Award. The award recognized "Helping Hettinger Day" when volunteer residents completed 15 projects in the community. Artwork from fourth-graders is coming in to the North Dakota Local Technical Assistance Program (NDLTAP). 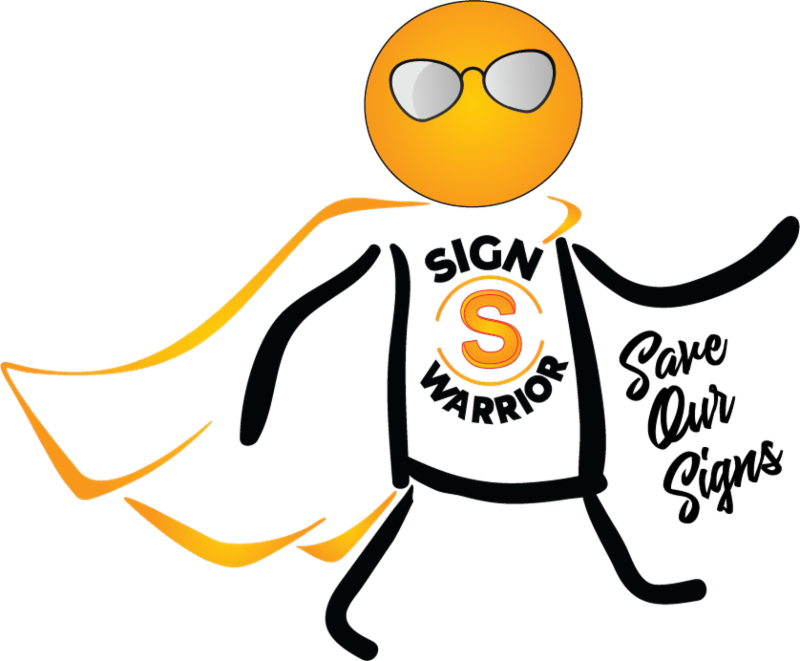 The organization asked fourth grade students to design posters focused on the Sign Warrior's efforts to "save our signs!" The top 16 posters will be made into a calendar and distributed around the state in an effort to recognize the students' ideas for making North Dakota roads safer. The Sign Warrior program hopes to draw on the persuasive power of kids to initiate a change in culture, hoping kids will prompt behavior change when it comes to vandalizing and damaging signs. County road superintendents are the contact point to get students involved in the poster contest. Posters will be accepted through the middle of November and calendars will be released in December. Winning students will receive a certificate, copies of the calendar, and a personal thank-you from the American Traffic Safety Services president and the NDLTAP director. 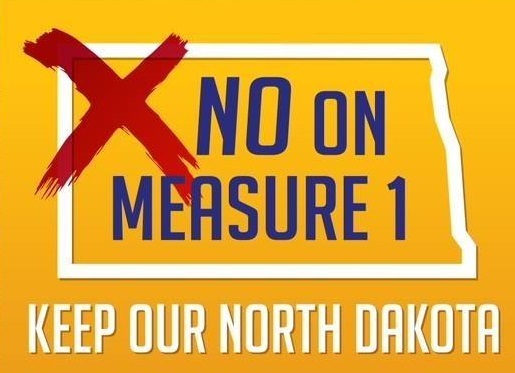 Citizens of North Dakota may propose an amendment to the state Constitution by an initiative petition, which requires signatures of four percent of the population to be valid. 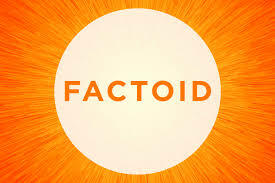 Citizens may initiate a proposed law by petition, which requires signatures of two percent of the population. 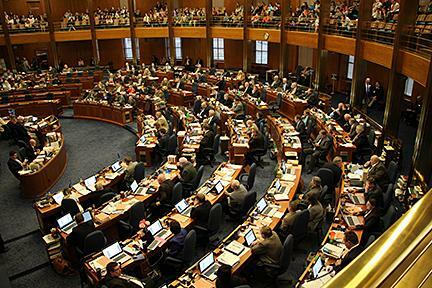 Initiated laws may be changed by a vote of the ND Legislature. The Constitution can only be changed by a vote of the people.